Dane Mitchell’s practice — which involves installation and sculpture — explores ephemeral phenomena on the threshold of perceptibility. In particular the work investigates a form of ‘plastic invisibility’, exploring territories of transformation between physical states, and seeks to frame, invoke or reify material and sensory qualities which are marginal, unstable, dynamic or transitional. One material outcome of his research, over the past 8 years, has seen the investigation of the sculptural possibilities of smell, namely through the employment of the craft of perfume making. He has also employed the practice and protocol of homeothapy as a vehicle for exploring the relation between material substances (such as atoms and the body) and immaterial substances that transcend the molecular (such as thought-forms and spirit), as it offers a framework for a productive (mis)understanding of a material universe and of how meaning might be inscribed in objects. This residency presents Mitchell with the opportunity to focus on research and to explore material possibilities and connections within Scotland: through perfumery (in terms of peat’s history as a perfume ingredient) and material essences (through the processes of distilling materials). This is the first time the New-Zealand-based artist has worked in Scotland. 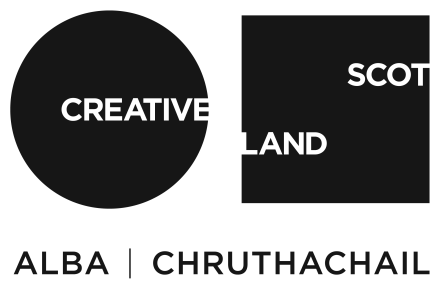 Cove Park is committed to supporting established international artists and creating ways in which these individuals can engage with artists, organizations and audiences in Scotland. Previous international visual arts residents include Jumana Abboud (Palestine), Bik van der Pol (The Netherlands), Tyler Coburn (USA), Tania Pérez Córdova (Mexico), Abraham Cruzvillegas (Mexico), Mariana Castillo Deball (Mexico), Martin Healy (Ireland), Takahiro Iwasaki (Japan), Taro Izumi (Japan), Matt Keegan (USA), Matts Leiderstam (Sweden), Sean Lynch (Ireland), Paul P. (Canada) and Jan Verwoert (Germany).